Abstract: In the first decades of the 21st century, biology research has rapidly become big data science. From microbiomes and genomes to ecosystems and phenomes, the data captured by researchers funded by the National Science Foundation’s Directorate for Biological Sciences has necessitated new tools and strategies for data collection, processing and analysis. 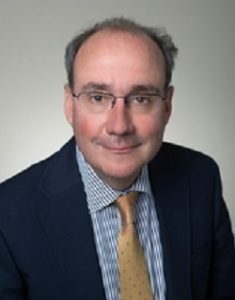 The advances in technology and cyberinfrastructure required by new and expanding frontiers of fundamental research are critical to advancements in applied research; for example, it is increasingly clear that success in improving public health through biomedical research absolutely depends on basic biology. Some of the programs, research projects, and infrastructure supported by the Directorate for Biological Sciences that have been or will be critical to advancing our understanding of living systems, from molecules to the biosphere, will be discussed. Bio: The National Science Foundation (NSF) has selected George Mason University’s James L. Olds to serve as assistant director for the Directorate for Biological Sciences (BIO). BIO’s mission is to enable discoveries for understanding life. BIO-supported research advances the frontiers of biological knowledge, increases our understanding of complex systems, and provides a theoretical basis for original research in many other scientific disciplines.